In Books > Childrens Books > Show & Tell and China and Dinnerware > Show & Tell. 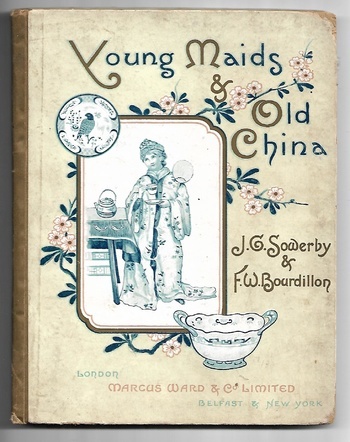 Here is a nice little kid book from 1889, Young Maids & Old China. F.W. 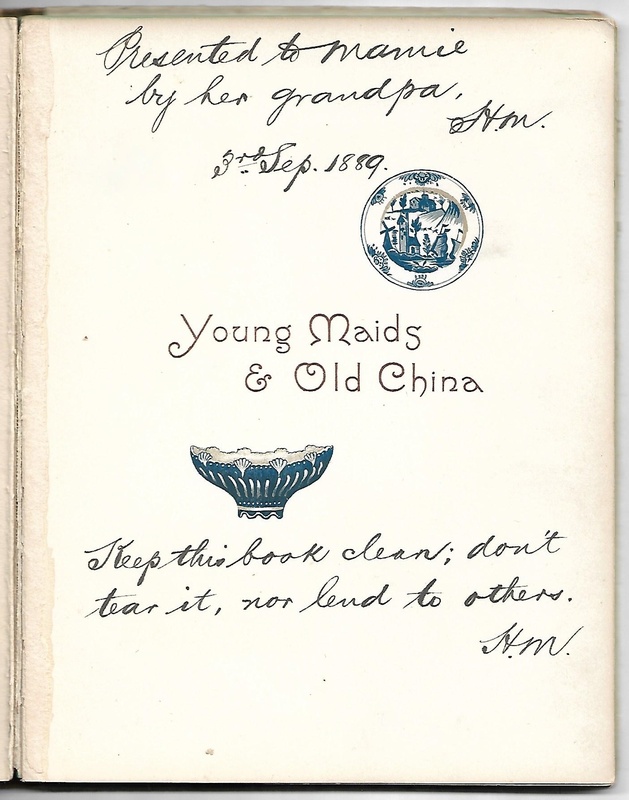 Bourdillon Published by Marcus Ward & Co Limited, pastel artwork by J.G Sowerby, in very fine condition, to be 130 years old, lot of colored plate inside, the first page is dedicated, as follow "
Presented to Manie by her Grand pa H.M, Keep this book clean; don't tear it, nor lend to others" interesting note, that's maybe the reason the book is such great condition. 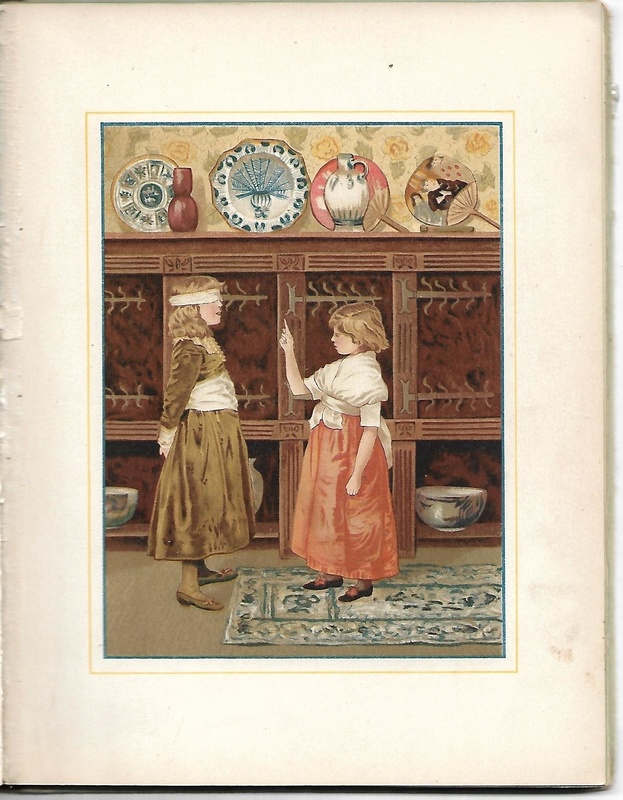 John George Sowerby (1849–1914) was an English painter and illustrator from Gateshead, and director of Ellison Glass Works, the Sowerby family business, which during the 1880s was the largest producer of pressed glass in the world. His paintings were exhibited in the Royal Academy of Arts, and his children's book illustrations were generally well received. Sowerby's landscapes and floral paintings, while not numerous, were described as showing "a genuine Pre-Raphaelite intensity of vision".He brought designs inspired by the Arts and Crafts movement into Ellison Glassworks. He collaborated with the painter H. H. Emmerson on the 1880 children's book Afternoon Tea, which was generally praised by book reviewers but generated some controversy: artist Kate Greenaway and her supporters viewed it as an inferior imitation of her 1879 picture book Under the Window: a commercial success that inspired a wave of similar books. Sowerby countered that the illustrations were not imitations of Greenaway's art but merely within the same genre. Afternoon Tea also suffered from printing inconsistencies and colour misalignment, the result of somewhat haphazard assembly by three different engraving firms before publication. 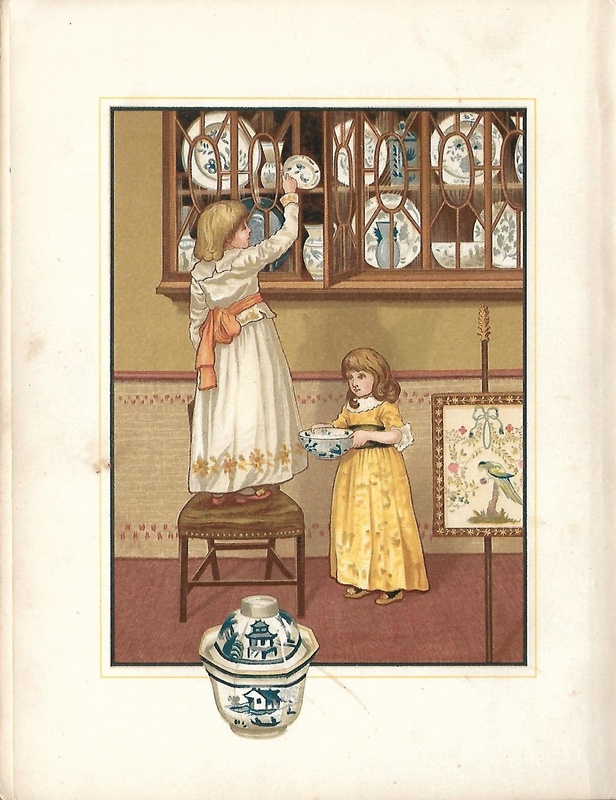 Two of Sowerby's later children's books however (At Home and At Home Again, each decorated by Thomas Crane), are regarded as superior; described by librarian scholar Roger Dixon as "among the loveliest books ever produced." Sowerby married Amy Margaret Hewison in 1872. They had one son and five daughters. 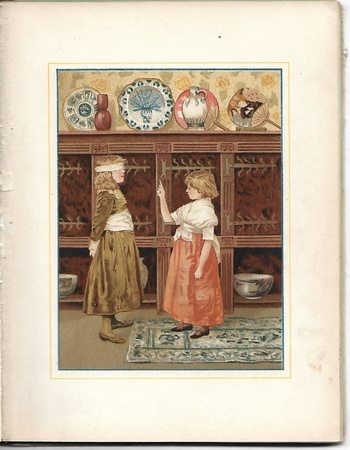 His daughter Githa Sowerby became a noted playwright and children's book author, with many of her books illustrated by sister Millicent Sowerby, who also illustrated classic nursery rhymes and stories such as Alice's Adventures in Wonderland. Soweby died on 14 December 1914 in Herefordshire, to where he had retired.